further filtered by native plants. is cleaner as a result. 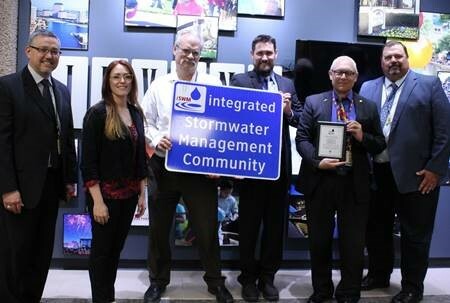 The iSWM™ Program for Construction and Development is a cooperative initiative that assists cities and counties to achieve their goals of water quality protection, streambank protection, and flood mitigation, while also helping communities meet their construction and post-construction obligations under state stormwater permits. Designs based on the iSWM program mean that a community can handle stormwater more effectively and with fewer flooding impacts. iSWM reduces the potential for erosion by addressing streambank protection during design, protecting properties and infrastructure along creeks and rivers. iSWM techniques give a community new tools to improve water quality, thereby reducing costs and protecting residents. NCTCOG has worked to make iSWM compatible with existing state and federal regulations. iSWM methods emphasize sustainable, natural systems which can reduce maintenance and result in a lower lifetime cost of ownership. The North Central Texas Council of Governments is here to provide free technical assistance to communities implementing iSWM strategies. The iSWM Program would not exist without the support from our local communities in North Texas. We are grateful for their efforts and the North Texas region as a whole benefits greatly from their dedication to make the Dallas/Fort Worth metroplex a great place to live. The communities highlighted on this map have formally adopted iSWM strategies or have become iSWM certified. What Does it Mean to be iSWM Certified? The City of Irving has been recognized as the latest municipality to receive the silver iSWM designation. The City of Fort Worth has been recognized as the latest municipality to receive the silver iSWM designation. 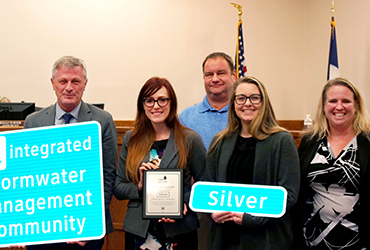 The City of Kennedale has been recognized as the latest municipality to receive the silver iSWM designation. Natural Areas and streams are highlighted tastefully within a development. 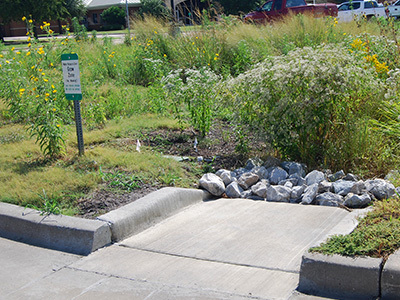 But these features do more than look good, they treat stormwater runoff from streets and parking lots. 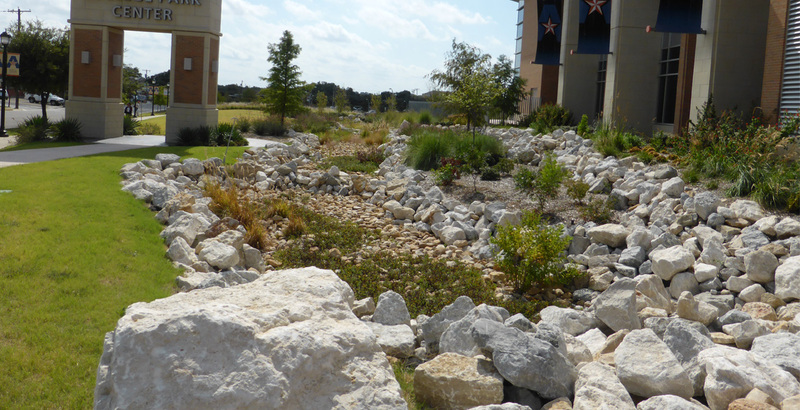 By creating systems that mimic the natural environment, development can coexist within a space in a way that is visually pleasing and does not increase runoff. Real world examples on the ground in the North Texas area that exemplify the principles of the iSWM program. Rayzor Ranch North (officially Rayzor Ranch Marketplace), is a 100-acre parcel within the Rayzor Ranch development, a privately-owned, 400-acre mixed-use development in Denton, Texas. 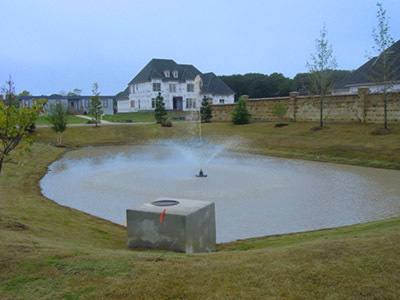 Rayzor Ranch is one of the first projects in the City of Denton using iSWM design criteria. The project, owned by Allegiance Hillview, L.P., was begun in 2008 and construction for Phase I was completed in 2010. Within the 400-acre Rayzor Ranch development, the Marketplace is an approximately 100-acre retail center with an ultimate buildout of approximately 800,000 SF of large retail, junior anchors, specialty retailers, restaurant and financial institutions. A 39-acre tract includes anchor tenants Walmart and a Sam's Club. Rayzor Ranch North incorporates several iSWM site controls including a water quality pond, four bioretention areas, a pocket wetland, an enhanced swale, a filter strip, and several parking lot islands with filter strips as components in the treatment train. The treatment train was integrated into the overall landscape concept which has led to a truly integrated design that is aesthetically pleasing, utilitarian in conveying drainage, and environmentally responsible in the treatment of the water quality for removing both on and off-site pollutants before discharging the storm drainage. The Green at College Park is a focal point along the City of Arlington's Center Street Pedestrian Trail, offering green space as a retreat from urban life for the University community, neighbors and downtown visitors. 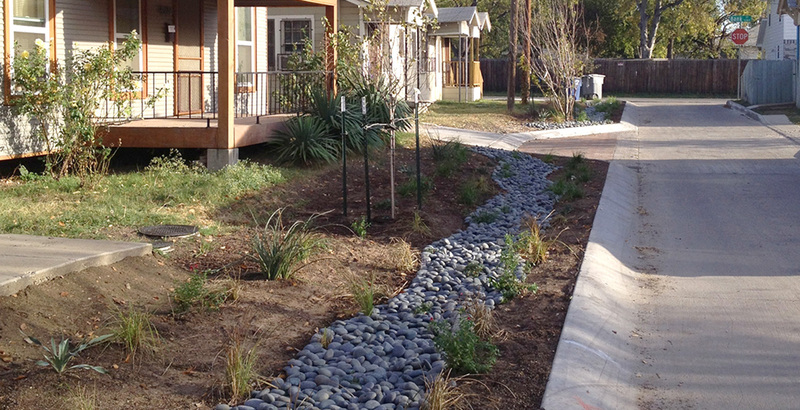 Notable features of The Green include a large lawn, seating along a curved stone wall, recycled paving materials, native grasses, adaptive plants, and a dry creek bed that will help manage rainwater and stormwater runoff that drains into Johnson Creek. The first priority for The Green was to design it as a "green sponge." The design encourages infiltration of stormwater through micro-depressions, drains stormwater from grey to green, sheet flows stormwater, reduces impervious surfaces, and amends soil with organic matter to help it return to pre-development infiltration rates. 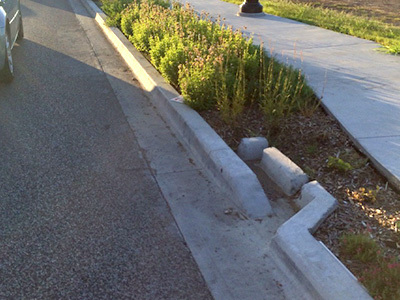 The second priority was to improve the quality of the stormwater. The design filters water through vegetated areas and soil, slows down the flow of water to allow sediment to settle, utilizes plants that break down pollutants in the water, and provides a highly organic soil for microorganisms to break down pollutants. 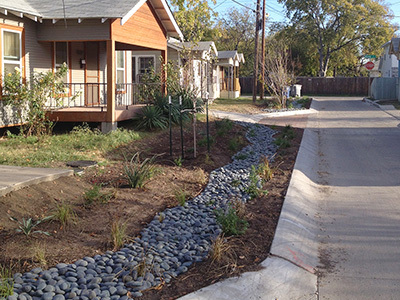 Congo Street, located in South Dallas, is now recognized as Dallas' first Green Street. In 2008, bcWORKSHOP began working with the residents on Congo Street to craft an alternative strategy that focused on rebuilding the homes and street infrastructure. The one-block-long street that had been inadequately and poorly designed could not handle the stormwater demands placed on it. Congo Street and several homes had been targeted for demolition and redevelopment. 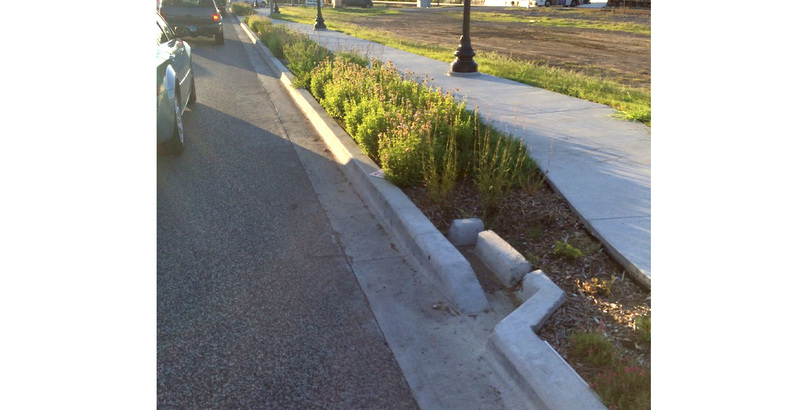 The Congo Street design incorporated permeable pavement, biofiltration, and retention basins as strategies to manage stormwater. The main goals for street improvements were to create a safer street, allow more space for pedestrians, resolve persistent issues of flooding, address poor paving conditions, and eliminate the 10-foot bottleneck at the end of the street. Congo Street features stormwater bumpouts that function as bioswales and definitions for the permeable parallel parking areas and drive approaches. The Congo Street houses, along with the green street, have garnered local and national awards and sparked new investments in the Jubilee and Dolphin Heights neighborhoods. To push the standards of common practice, the project initiated relationships between users, designers, and municipalities that allow for increased technical knowledge and skills to use similar systems in Dallas and across the region. 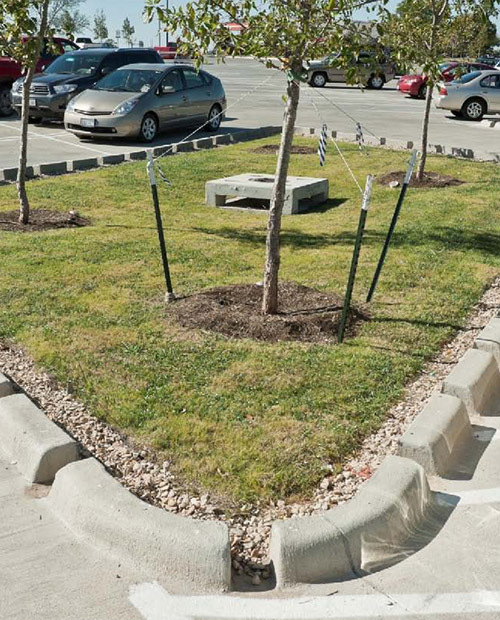 In Carrollton, Texas, a downtown parking lot uses Grasstone pavers for interior parking spaces. 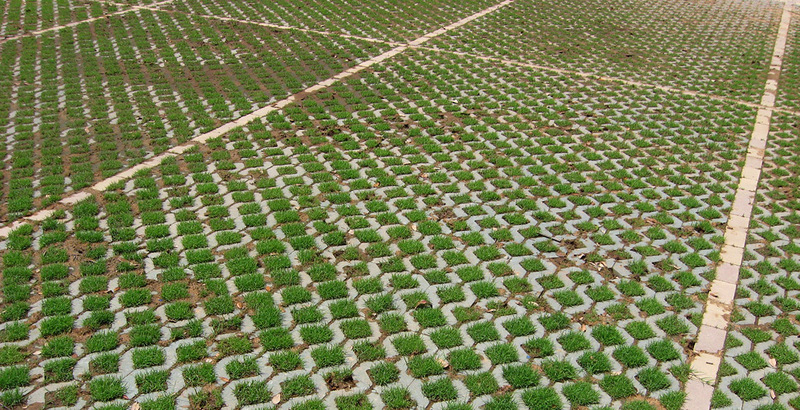 The pavers allow grass to grow on the paver's interior and permits stormwater to infiltrate into the pavement subsurface. 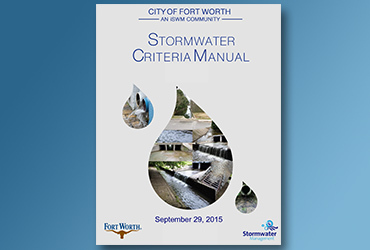 The City of Frisco, an iSWM Silver Certified Community, requires Water Resource Zones in all new development. 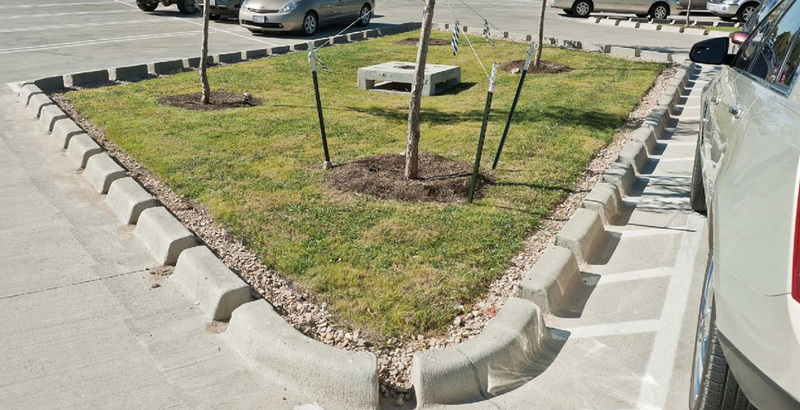 The Water Resource Zones are typically located adjacent to parking surfaces are used to capture, slow, filter, and absorb storm water before entering the storm water system. 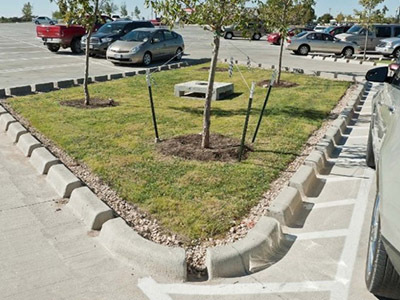 This regulation is found in their landscape ordinance, where it states these areas must equal to at least 5% for nonresidential and at least 7% for multifamily of the impervious parking area. Treatment devices that are encouraged to go in this area include bio-retention, filter strips, and bio-swales as specified by locally accepted standards. 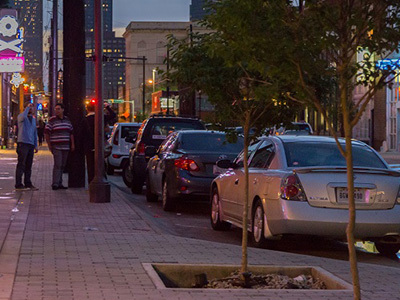 In June 2011, the City of Dallas launched its Complete Streets Initiative. The vision behind the initiative is to build streets that are safe and comfortable, supporting multimodal transportation, have context-sensitive design, are an enhanced public realm, and exhibit environmentally sustainable street design solutions. As part of this initiative, the City reconstructed a portion of Elm Street with a Complete Street design, narrowing the streets, widening the sidewalks, improving drainage, improving accessibility, and upgrading water and wastewater mains. Aspects of the design include twenty-six rain gardens with native plants, pedestrian walks, and permeable pavement around tree wells in portions of the sidewalk. 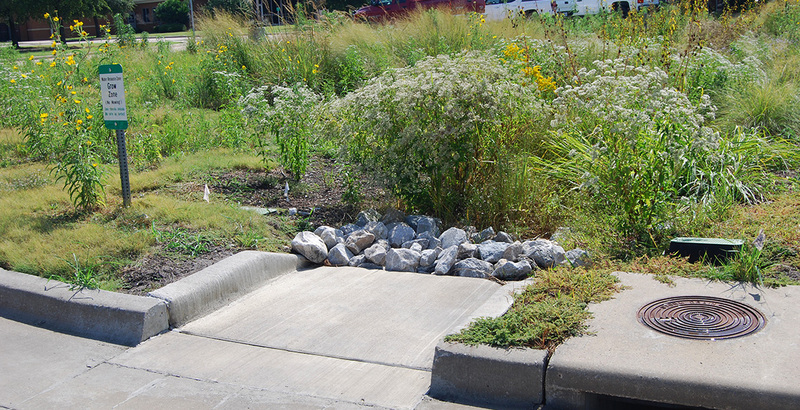 With the constraint on the downstream drainage system, the use of stormwater for rain gardens helps conserve water and mitigate downstream effects. The Complete Streets Initiative includes design guidelines for green elements consistent with iSWM. 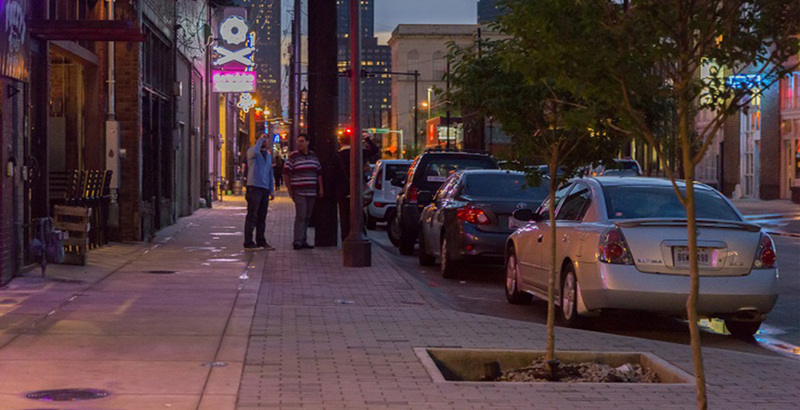 The City of Fort Worth's improvements in the Historic Handley Urban Village Streetscape project included rehabilitating sidewalks close to storefronts, creating a more inviting location to shop. 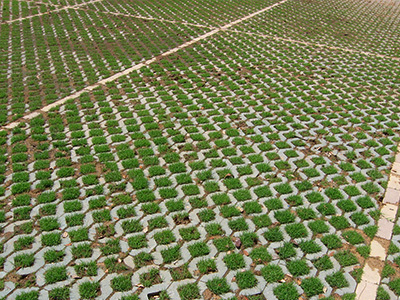 This site incorporated recycled crushed concrete in its permeable parking lot. 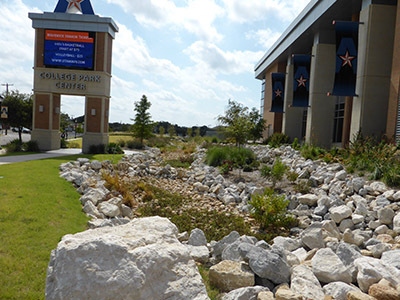 Before this new construction, the center was experiencing issues with continual groundwater seepage, an issue that was resolved when this new parking lot made of compacted gravel and crushed concrete, combined with five bioswales, was installed. 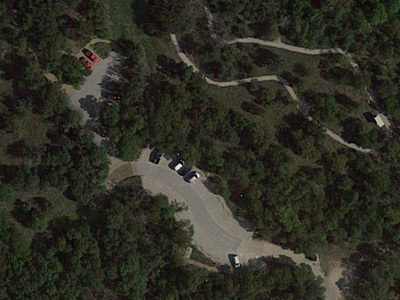 The new design for the Fort Worth Nature Center and Refuge parking lot allowed for additional parking spaces. The choice of pavers for the Triangle Parking Lot project led to an increase in available surface area, which equaled 40 additional spaces. 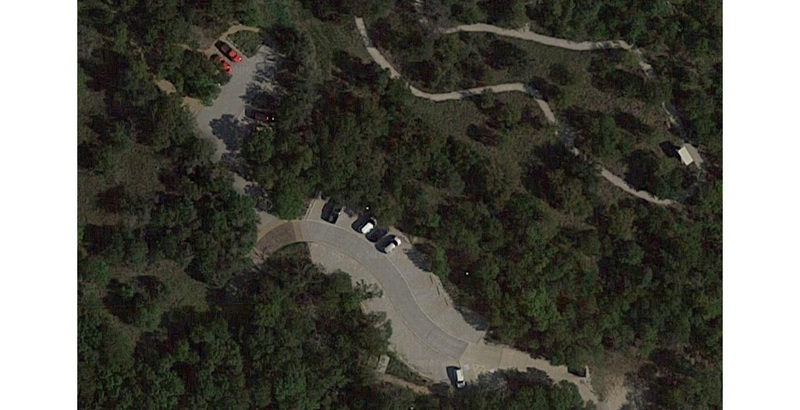 The Fort Worth Nature Center and Refuge reports its system as being very low maintenance; it mostly includes sweeping material back in place. 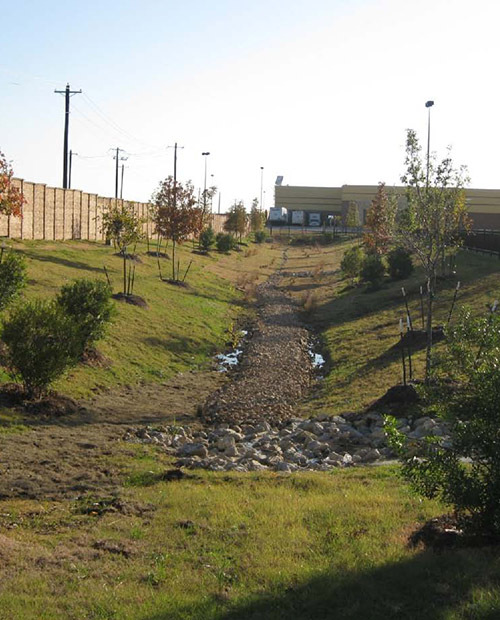 Detention ponds are a traditional and common best management practice to reduce the effects of urbanization on stormwater. They are designed to improve water quality; improve flood control; enhance wildlife habitat; and provide recreation, education, and aesthetic qualities. 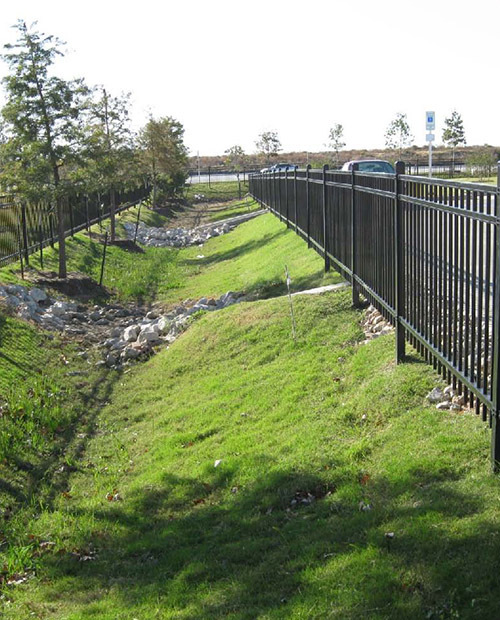 Landscaping along the banks and buffer of the pond enhances the aesthetics, stabilizes side slopes, can serve as wildlife habitat, adds to the pollutant removal capabilities, and temporarily conceals trash and debris. Fountains can be used as an ornamental amenity, plus serve the purpose of oxygenation, an important function for the health of the pond. Enter your email address below to be placed on the interested parties list. We will send out periodic emails regarding training opportunities and news regarding the Integrated Stormwater Management program. Helping communities meet their construction and post-construction obligations under state stormwater permits. iSWM is a program of the North Central Texas Council of Governments, Environment & Development Department.